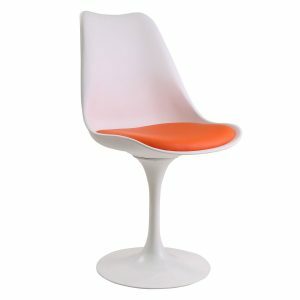 The Tulip Chair inspired by Eero Saarinen. 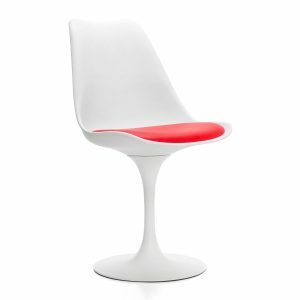 Home/Iconic Design Classics/Iconic Designer Cafe & Occasional Seating/The Tulip Chair inspired by Eero Saarinen. 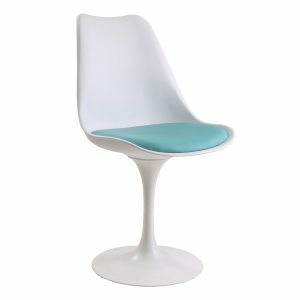 The TULIP WHITE Chair offers a unique blend of smooth and oblique lines, with a futuristic print, 20th century industrial design icon inspired by the Saarinen Tulip Chair. The shape of the backrest, reminiscent of the petals of a tulip, is thought to comfortably pick up any user regardless of their size and complexion. 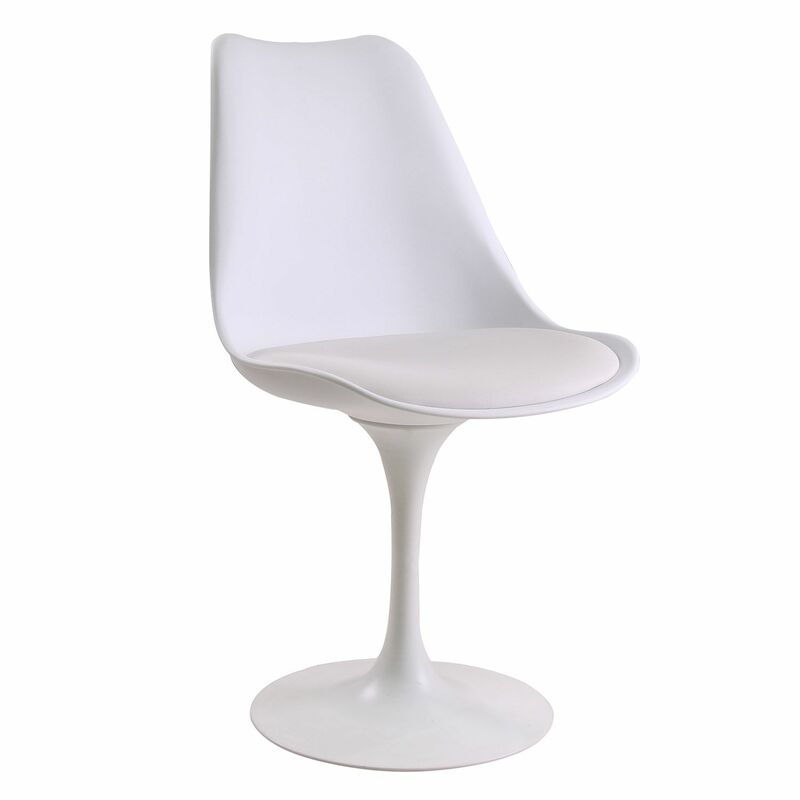 The seat is made of white polypropylene and rests on a single center foot of lacquered metal, also in white. The idea is to free up as much space as possible, and prevent the traditional 4 legs of a chair, hamper our movements when we are sitting on it. For an extra touch of comfort, a high-density foam cushion is added, upholstered in leatherette. Inspired by the Tulip Saarinen Chair by Eero Saarinen. Base structure of lacquered metal. The seat is not rotating, it is fixed.